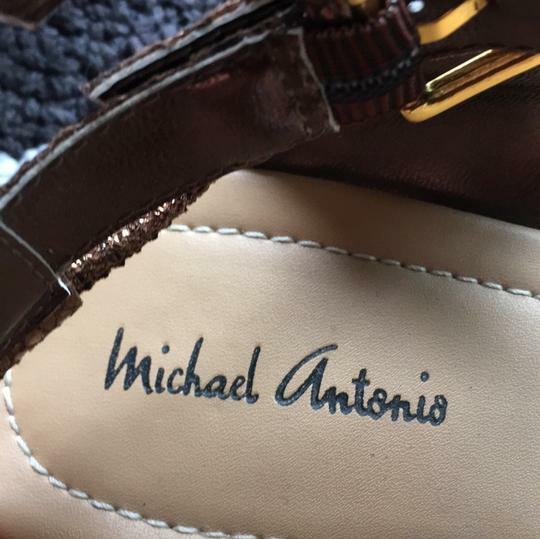 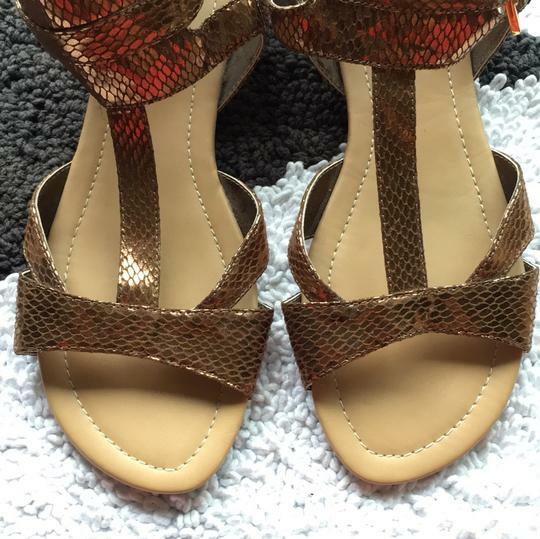 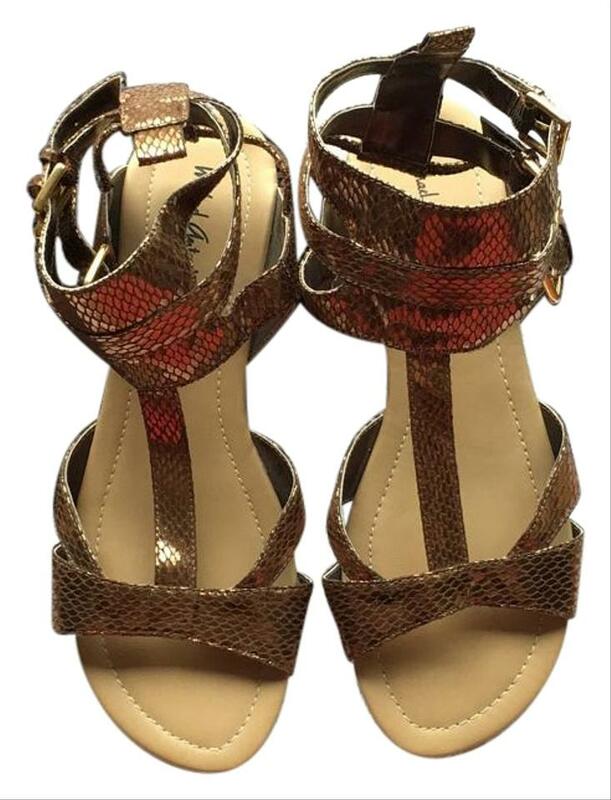 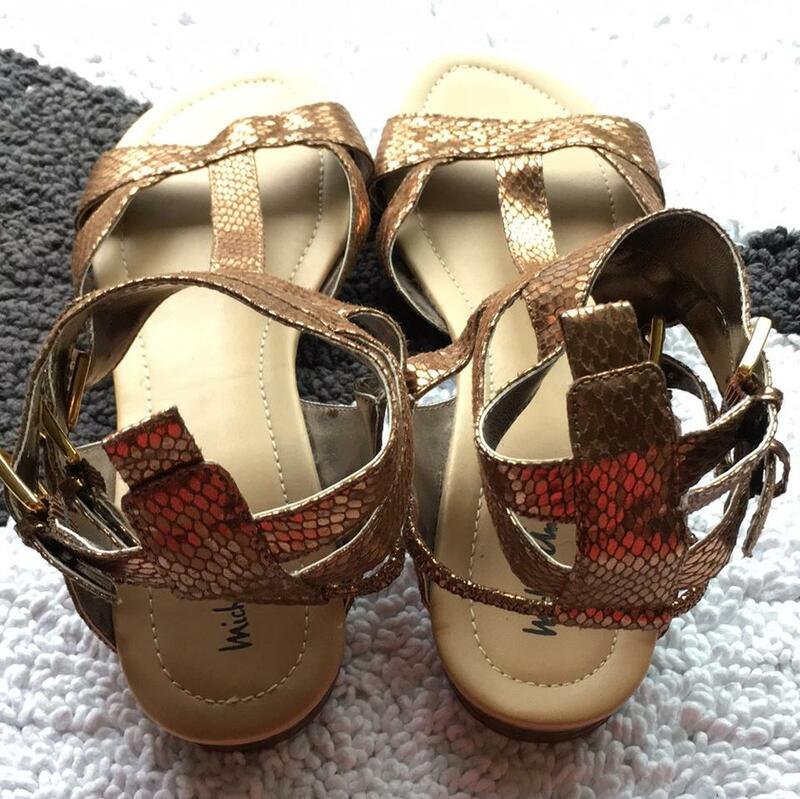 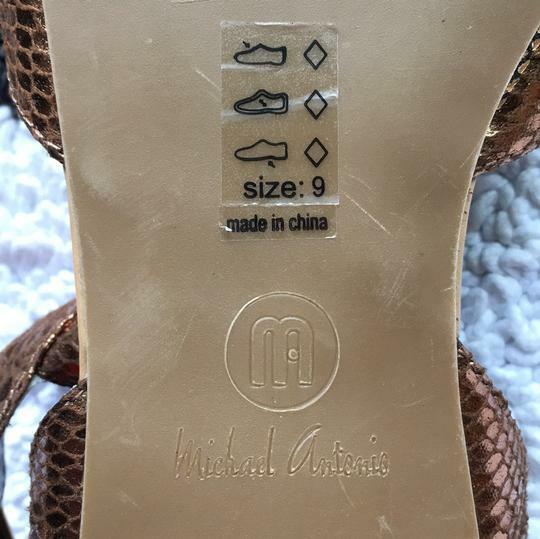 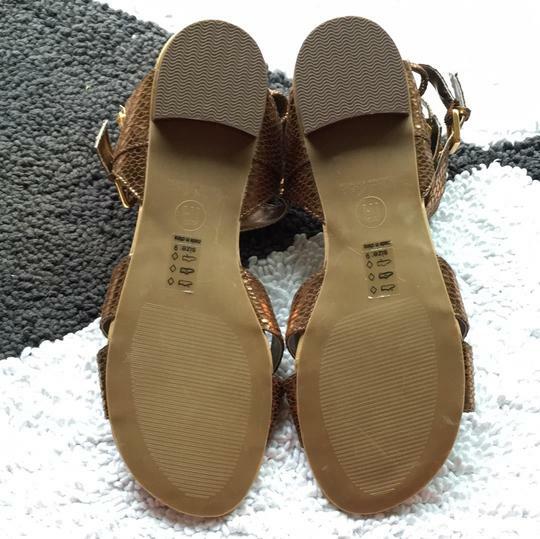 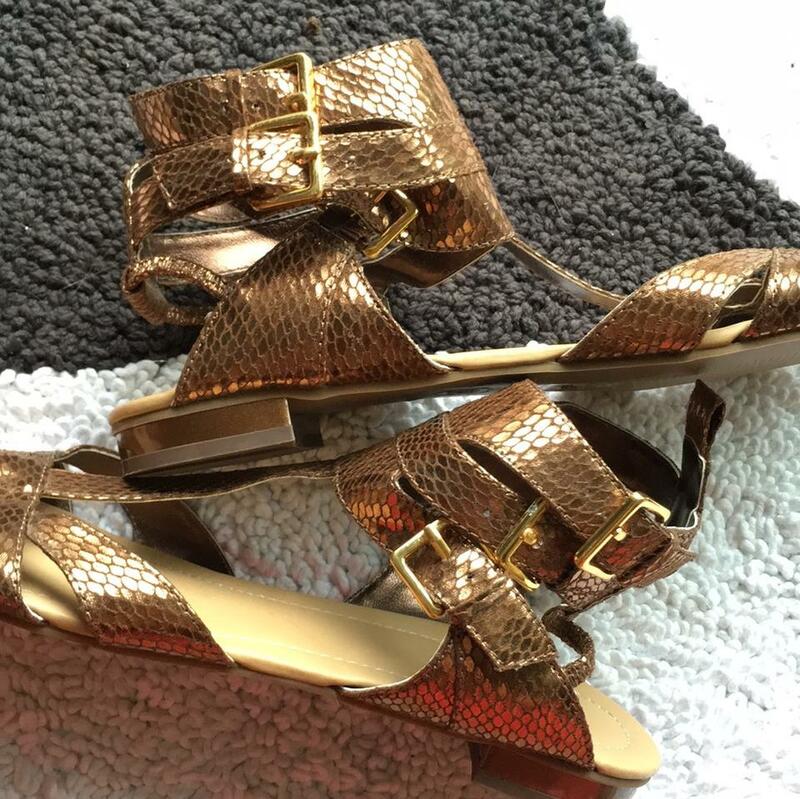 Cute copper-scale Michael Antonio sandals with gold buckles at the ankle! 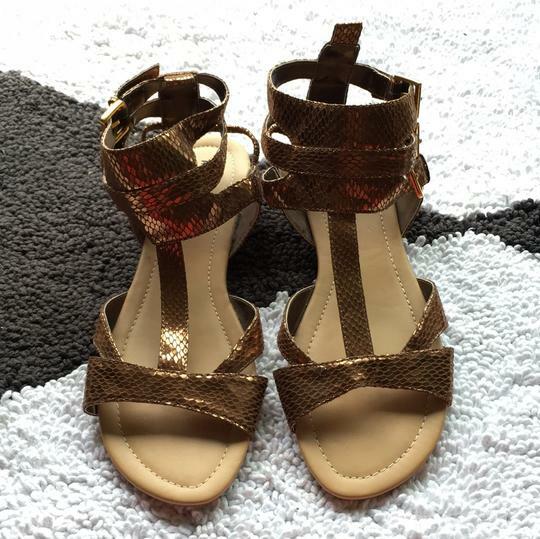 These have been tried on and walked ariund the house, but never outside. 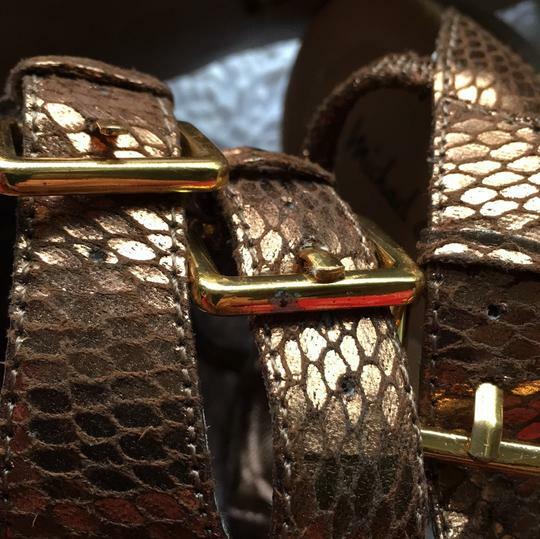 I did notice a small plave where the varnish on a buckle has flaked off (photo taken), but it is the obly sign of wear!